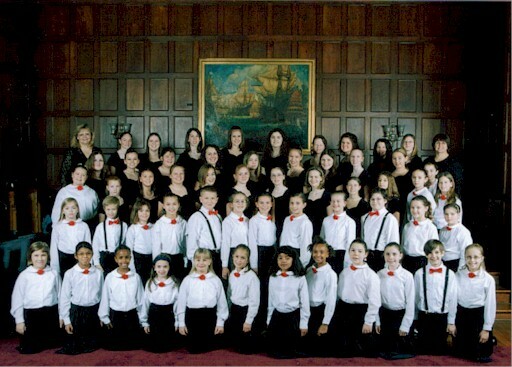 The Litchfield County Children’s Choir was founded in 1990 by Christopher Shepard and Barbara Soderberg. The legacy continued under the direction of Amy Bernon from 1996-2002, and continues now with Anna Jedd and Lynne Kearney. 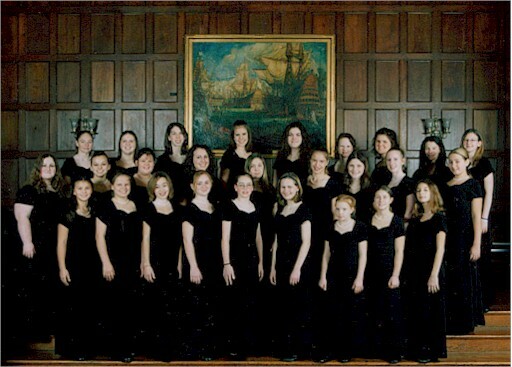 Our singers, ages 8-18, have appeared with the Connecticut Choral Society, the New Haven Symphony, the Waterbury Symphony, the Naugatuck Valley Community College Choir, the Waterbury Chorale and the Connecticut Master Chorale. In addition, LCCC choirs have sung in numerous children’s choir festivals and for community events. The Junior Choir serves singers in the 3rd through 7th grade, providing instruction in basic vocal production, music literacy and concert performances. In addition to two concerts at Taft, the choir performs in area churches and community centers. The Senior Choir is comprised of singers in 6th through 12th grades. The choir offers students a variety of fun and challenging musical experiences including the opportunity the premier composers’ new works. Singers who join this group have a rudimentary knowledge of musical knowledge and are more advanced in vocal production skills. Anna K. Jedd, Co-conductor of LCCC, is a life-long resident of Watertown. Mrs. Jedd is a music educator in the Watertown Public School System. She was appointed Music Coordinator the Watertown School System in 1994. She holds a B.S. Music Education from Western CT State University, M.M. Music Education from the Crane School of Music, SUNY Potsdam, and a Sixth Year in Music from Central CT State University. Mrs. Jedd is a member of the American Choral Director’s Association and the CT Music Educator’s Association. She has sung with the Waterbury Chorale, CT Choral Society, and Alamanda. She has directed the Heritage Singers and the Heritage Village Summer Songsters and is a staff member at Seven Angels Theater Camp. Mrs. Jedd is the organist and choir director at Church of the Nativity in Bethlehem. Lynne Kearney, Co-conductor of LCCC, is currently Choral Director of Nonnewaug High School and Woodbury Middle School. She received her B.A. and M.S in Music Education from Western CT State University and her Sixth Year at Central CT State University. Lynne is past president of the CT Chapter of the American Orff-Schulwerk Association. She is a member of the American Choral Director’s Association and the CT Music Educator’s Association. She has studied choral conducting with Dr. Peter Bagley, Rene Clausen, and Dr. Anton Armstrong. She has sung with the CT Choral Society, the Danbury Concert Chorus, and Alamanda. Mrs. Kearney is currently Choral Consultant for the CT Music Educators’ Association.